If you're anything like me, pets are an important part of your family, so it's a shame so many people don't think to treat them during the holidays. It's important to me to always include Courage in the holiday gift-giving, whether I'm filling a stocking for her or making her something special. This year, I thought it would be a real treat to DIY a gift for Courage. She loves to lay under the bed or on the back of the couch, but I knew she would just love to have her own place to hang out in, so it came time for her to have her own cat-home. Since the holidays are so close, it seemed the perfect time to surprise Courage with her brand new cat house tee-pee! Scroll down to find out how to make your own! Since I'm so busy with work and school (and now the holidays! ), it's sometimes hard to make several special stops for different items. 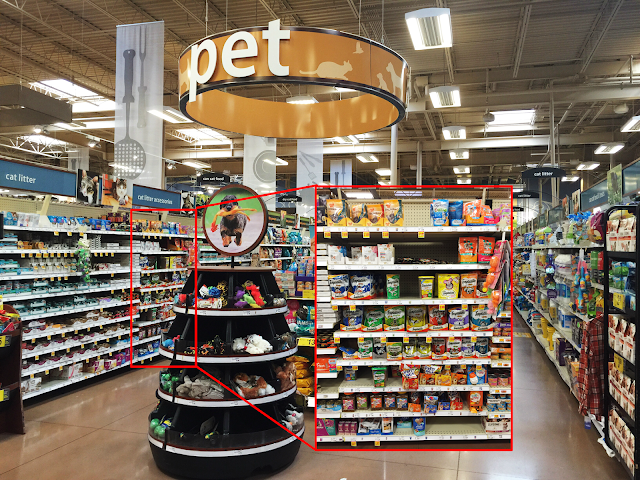 Luckily, Kroger has everything I need to treat Courage right in their pet aisle! It's so convenient, because I can pick up everything I need for our home right in one place. Spread holiday love to your furry friends with the help of Purina! Now through the end of November, use this Coupons.com link (while supplies last) to take advantage of great savings on your favorite Purina pet products available at Kroger. Now, if you're ready to make a pet tee-pee, follow along below. 1. Using three wooden sticks, make a tee-pee/pyramid shape. 2. Wrapping the leather cord around one stick at a time, attach the wooden sticks together. 3. Adding one stick at a time, wrap with the leather cord until all five sticks are wrapped together in a tee-pee shape. 4. Now, take the cat toy and remove the string from the stick. 5. Wrap the string inside the tee-pee, around the wooden stick structure, with the toy portion hanging down into the middle inside the tee-pee. 6. Next, you'll want to prepare your fabric. Laying the fabric long ways, fold one long side one-quarter of the way in towards the middle. Use push pins to keep the fold in place. 7. Wrap the fabric (with the fold at the top) around the tee-pee structure. 8. Where the fabric overlaps at the top of the structure, attach with a push pin. 11. Cut the the fabric where marked. Your fabric should now look like a slice of pizza. 12. Unfold your fabric into a semi-circle and wrap around the wooden stick structure, with the round edges touching the ground. 15. Cut a leftover piece of fabric into a 2-inch strip and wrap around the leather portion at the top of the structure. Tie into a bow. 16. 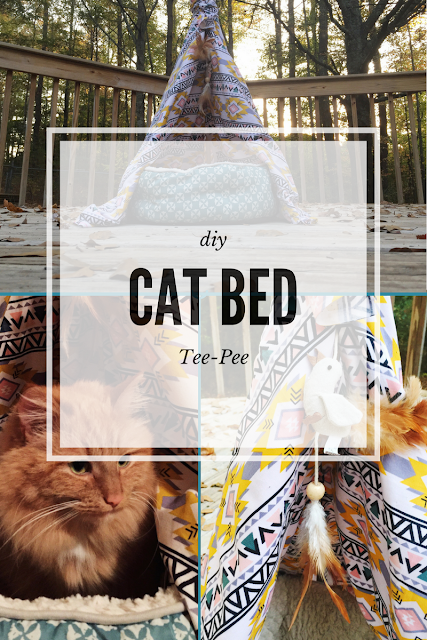 Place the pet bed/pillow inside the tee-pee structure, and let your cat enjoy! For more inspiration on treating your pets this holiday season, click here. How do you treat your pets a little extra special around the holidays or throughout the year? 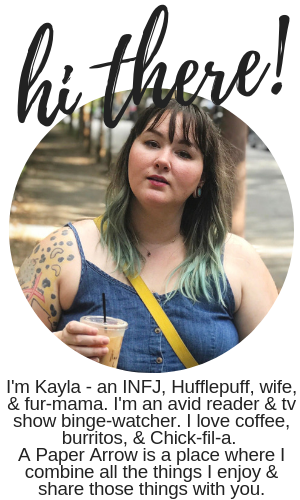 I'd love to hear your ideas below! I love this! Thank you so much for sharing this tutorial. I know what I'll be making this weekend!